Thousands of students enter private tertiary education institutions every year – increasingly out of choice, but other times because of limited opportunities in the public sector. As prospective students have always done when deciding on which university to attend, private students must be encouraged to similarly ensure they entrust the right institution with their higher education. With an estimated 110 000 students registered in private higher education annually, leaving these students without guidance on how to choose quality courses and institutions exacts a significant but rarely recognised toll on the individual, the community and ultimately the country and economy, an education expert warns. 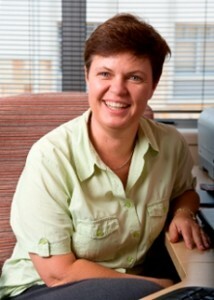 “Many students would already have been exposed to valuable guidance on how to ensure that an institution is registered and its qualifications are accredited, to avoid becoming a victim of unscrupulous operators,” says Dr Felicity Coughlan, Director of the Independent Institute of Education, which is responsible for the academic leadership and governance of education and training on more than 20 registered higher education campuses in SA which collectively welcome more than 5 000 new students annually. But Dr Coughlan notes that once this first safety hurdle has been successfully navigated, prospective students must turn to understanding what (for each individual) would represent a high quality learning experience. “That will guide you as to what quality indicators you should be looking for,” she says. It is important to look at a total quality experience assessment – from the condition of the campus to the “intangibles” such as the values and interpersonal skills you will gain from the experience. One must also consider the output (e.g. graduation rates; quality of teaching; nature of facilities and number of lectures; learning materials) you get in relation to the input (fees, time and effort). A further assessment should be done, of the “value-add”, i.e., determine what you would gain from the higher education experience beyond the actual qualification. The “product” you leave with is a qualification, but you also should expect to be better equipped with work related skills and improved interpersonal abilities and a strong sense of citizenship. There may be other things of value that you seek from a qualification and you should ask about these things. “When considering colleges, it is in your best interest to do thorough research online and offline, looking at an institution’s official website and materials, but also at what others have written about the campus,” says Coughlan. “You should ask the basic regulatory and quality questions, but then you should begin to explore what is really offered. Ask the person interviewing you to tell you why you should choose their campus, and listen carefully for messages that focus only on “product” or almost exclusively on the student life experience. “Either extreme may be a reason to be cautious,” Coughlan says.